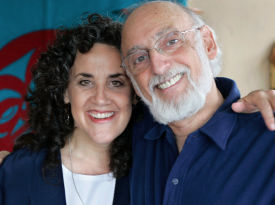 Here’s an article about John and Julie Gottman and their attempt to actually mine data to learn how to make long-term relationship grow and thrive. According to John and Julie Gottman, couples strengthen the friendship that is at the heart of any marriage by enhancing their love maps; nurturing their fondness and admiration; turning toward each other instead of away; letting their spouse influence them; solving their solvable problems; overcoming gridlock; and creating shared meaning. A “love map” is that part of one’s brain where one stores all the relevant information about one’s spouse’s life. Happily married couples use their love maps to express not only their understanding of each other, but their fondness and admiration as well. “Being there” for each other during the minor events in each other’s lives; and responding favorably to one’s spouse’s bids for attention, affection, humor or support. Making one’s spouse a partner in one’s decision making by taking their opinions and feelings into account. Learning to make and receive repair attempts (statements or actions that prevent negativity from escalating out of control; efforts the couple makes to deescalate the tension during a touchy discussion); soothing oneself and one’s partner; compromising; and being tolerant of each other’s faults. No matter how entrenched in gridlock a couple is, all that they need in order to get out of it is motivation and a willingness to explore the hidden issues that are really causing the gridlock. Click here to read the article in Huffpost about the Gottman’s work. This entry was posted in Blog and tagged commitment, Gottman, long-term relaltionship, love, Science of Love. Bookmark the permalink. Thanks for the great article to read. It was nice to wake to and read as my girlfriend and partner in life snoozed. It is also perfectly timed, as we have been, now after dating for 18 months and just moving in together June 1st, are sharing our individual visions and discussing our shared visions for our lives. Hope you are doing well.